Well! This one is sure to become one of the more divisive episodes of recent Who. A fascinating concept handled in an…interesting way to say the least, although it was far from successful. 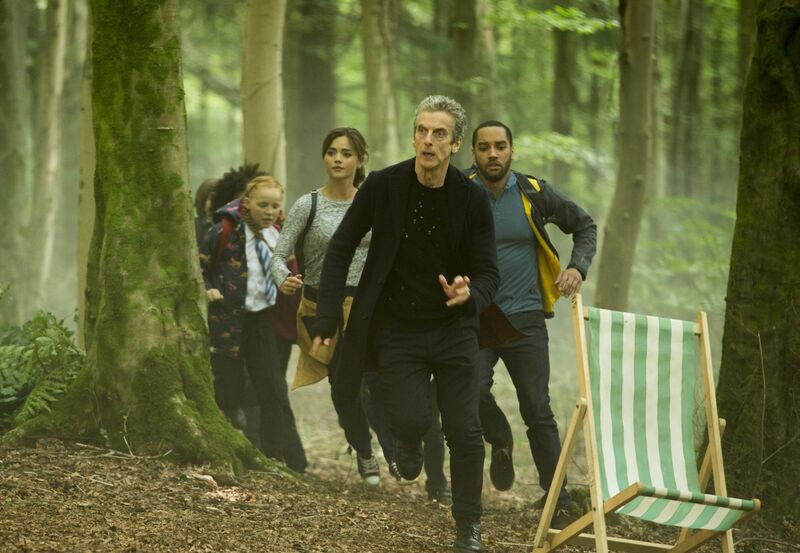 The episode begins with a little girl finding the Doctor in the middle of a forest. It turns out that, surprise, this forest is in fact central London. This is intriguing from the offset, and it was a fun setting for an episode. It’s not without its problems though. Why is Central London so empty? Where’s all the panic? We soon learn that the girl is from Coal Hill school and that she was on a trip with none other than Danny Pink. This really calls into question the teaching abilities of Mr Pink, he just lost this kid so easily. Speaking of kids, there are a lot of them in this episode. And as we’ve mentioned before, Doctor Who has a hit and miss history with child characters. Luckily, for the most part, the kids were not bad in this episode. The main kid, Maebh, is pretty good. She’s cute, which does the job for her character. You feel sorry for her, and you don’t want to see her torn apart by wolves. The others are alright but their not in it enough for it to be a major issue. It’s nice to see Danny for once, he’s been absent for most episodes. 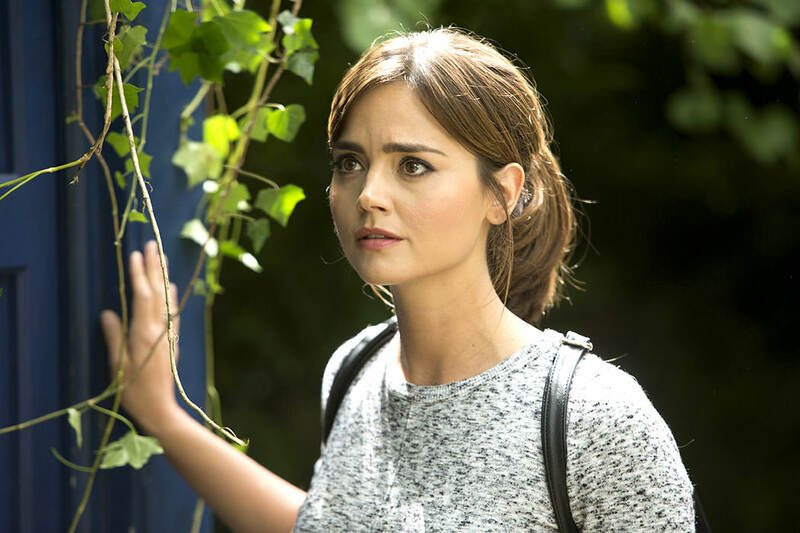 His relationship with Clara is nice and you can’t help but feel bad for the guy. After all his girlfriend is running around through time and space with a creepy old guy AND now she’s lying to him about it. He plays his whole, “I was a soldier!” card again and it’s getting old, but I still really like him. (Sadly no kickass flips in this episode though). Clara has an important role once again, but I expect most Clara haters have given up with the series by now, which is a shame because she’s great if a little prechy at times. Peter Capaldi is excellent (of course) and shows a lighter side of himself in this story, which is a nice change from all the darkness, especially considering the finale looks particularly intense. The direction by Sheree Folkson continues to be great. What an improvement from past seasons this is. Although the almost comical direction of this one may not be for everyone, I thought it was a nice change. The flashbacks to the classroom may have been intolerable depending on your opinion of the child actors, but they reminded me of The Crimson Horror and I really like that sort of thing in this show. Not ever episode has to be dark and depressing, and at the same time it doesn’t have to go all the way into camp slapstick like The Robot of Sherwood, it can land in entertaining middle ground like this episode. Overall the episode was just not as good as the elements within it. A forest in London? Awesome! Wolves and tigers running wild? Sign me up! Guys with flame-throwers burning everything? Great! But it sort of fell apart. The flame-throwers guys showed up very briefly. The tiger was dispatched waaaaay too easily at surprising risk to the kids. And the wolves at first seemed to be part of some Red Riding Hood thing that they were doing, but that went nowhere. The forest turned out to be magic…or something. Magic trees saved the world. And I think that’s why this episode is getting some negative reactions. It’s ridiculous, and stupid in some parts. The sister coming back at the end was almost insulting. Even after all of that, I didn’t dislike the episode. I couldn’t, it was still entertaining. The acting from the main cast was great, the CGI was pretty great, some scenes looked beautiful and it was a fascinating idea. It’s not as bad as everyone seems to be saying. It’s worst crime is that it is just forgettable. It’s even more forgettable when you think about the huge events that will take place over the next two weeks. At the end of the day, who’s going to remember that one episode where magic trees saved the world?